What Are Contract Research Organizations (CRO)? Contract research organizations (CROs) provide clinical trial and other research support services for the pharmaceutical, biotechnology, medical device industries and also serve government institutions, foundations, and universities. 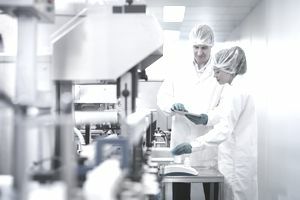 In the changing economy, pharmaceutical companies are increasingly looking to outsource critical functions, including manufacturing and research. More and more of the major corporations are using CROs to lead clinical trials and develop new medications. A CRO is an organization contracted by another company to manage and lead the company's trials, duties, and functions. Organizations and businesses that contract with CROs do so to acquire specific expertise without hiring permanent staff. CRO trade groups claim that when firms or public entities outsource to a CRO, it reduces the time it takes to conduct a trial versus doing the trial in-house, and that translates to significant cost savings. A contract with an outside company means that the hiring organization does not need the infrastructure, office space or manpower to run these trials themselves. Some CROs manage almost all aspects of a clinical trial, from site selection and patient enrollment through final regulatory approval from the Food and Drug Administration and European Medicines Agency. Although a trial sponsor may transfer all trial functions to a third-party CRO, the sponsor remains responsible for the integrity of the trial data and to ensure it is all factual and backed by good science. The Association of Clinical Research Organizations estimates that more than 50 percent of CROs perform outsourced clinical study work for the pharmaceutical industry, 27 percent work for biotechs and the remainder for the medical device industry, foundations, and governments. Among CROs that work with pharmaceutical companies, the top therapeutic areas are oncology, the central nervous system (CNS), infectious disease, metabolic disorders, and cardiovascular disease. For an industry that barely existed a decade ago, the CRO sector is performing very well compared to other industries. As pharmaceutical companies and medical devices organizations face increasing pressure on high drug costs, they are looking for ways to lower prescription drug costs without losing profits. Outsourcing clinical trial management is a way for these companies to significantly lower overhead costs, helping them make up for the dollars lost for lower medication prices. Contract research organizations provide an outlet that is more affordable for companies to pursue new medications. Before, pursuing an approval of a drug was prohibitively expensive, and usually only occurred when it seemed like a guaranteed approval for large markets. The existence of CROs is more cost-effective, allowing companies to develop smaller drugs for niche audiences. While this is just another sign that the industry is drastically changing, it is evidence that pharmaceutical companies are evolving to meet the needs of the new economy and streamlining processes to meet the needs of patients and shareholders.